A female customer of an Elk Grove grocery store was assaulted and robbed while shopping late yesterday afternoon. 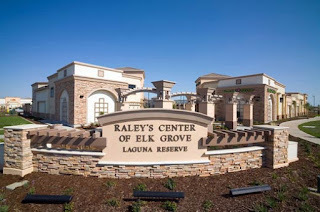 The victim was shopping inside the Raley's grocery store on Elk Grove and Franklin Boulevards when she was approached by two unknown female suspects. One of the suspects asked the victim for assistance with reading the contents of an item, and while she was reading, one of the suspects pushed the victim into nearby shelves. After being pushed, the victim hit her head on the shelf, one of the suspect stole her purse, and both fled in an unknown direction. The victim did not require medical treatment. The suspects were described as being approximately 50 years of age, wearing black rimmed glasses and approximately 20 years of age and was wearing a pink shirt.